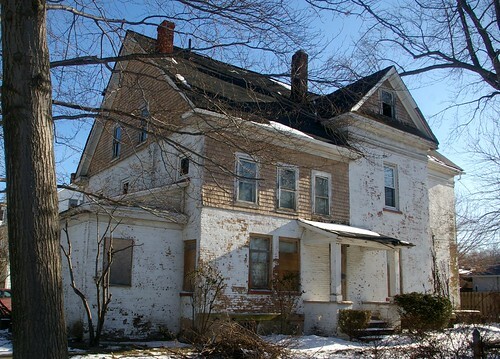 Cleveland Area History: Would you believe that this grand East Cleveland home is still standing!? Once again, Christopher, you wow us with your eye! 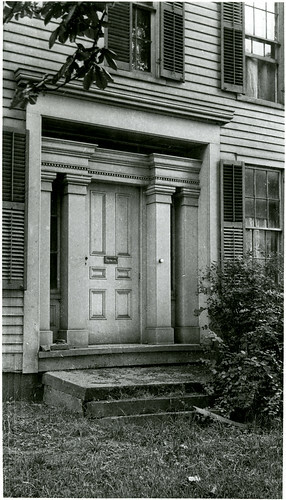 The doorway has much in common with a whole series of doorways in Hiram, including Bonney Castle. Good work! Thanks, Christopher. Nice work. Whelton is a complete Queen Anne neoclassical transformation of what must have been a magnificent early pyramidal roof Italianate villa. The house is very large. 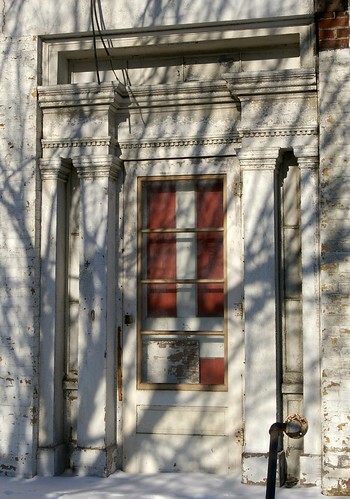 The doorway took a lot of time, skill and materials; suggests transition from Greek Revival to Italianate. I’m sure that the whole house was equally well made. Would have been very stylish for the early 1850s. The house still looks good in Queen Anne trim. Is the brick red or yellow? 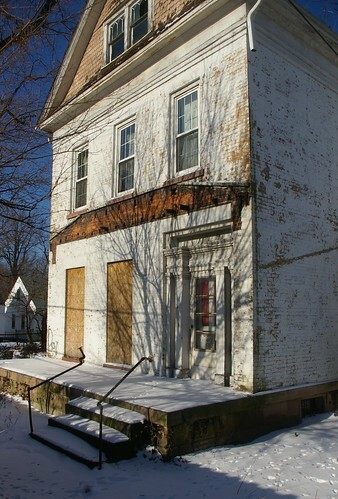 Seems red where the porch is ripped off but yellow where the white paint has spalled off. Very interesting. I'd like to see the east side better. 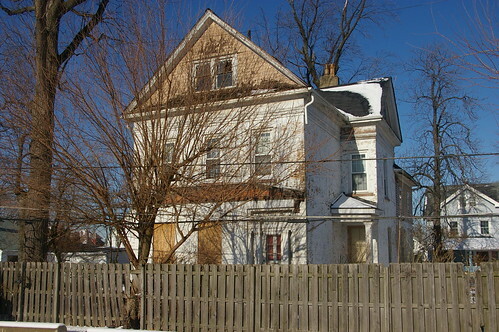 Cuyahoga Co. auditor lists the house as having been built in 1893, which matches the replacement third story/roof. Owner lives in the area. Wow! You are a super researcher! This is valuable information. 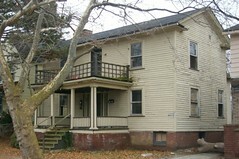 I have just posted my memoir about growing up in the Shaw/Plymouth Place neighborhood. 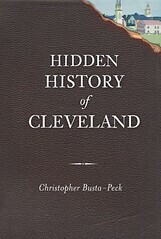 www.eastclevelandhistory.blogspot.com. 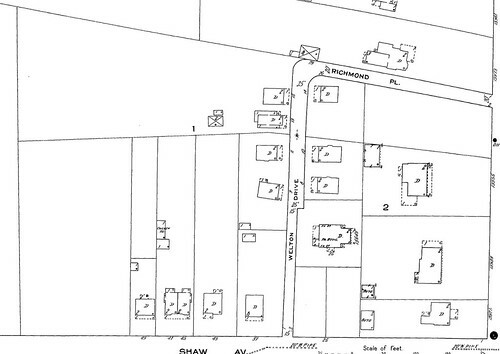 I lived on the corner of Shaw and Plymouth from 1940 to 1953. 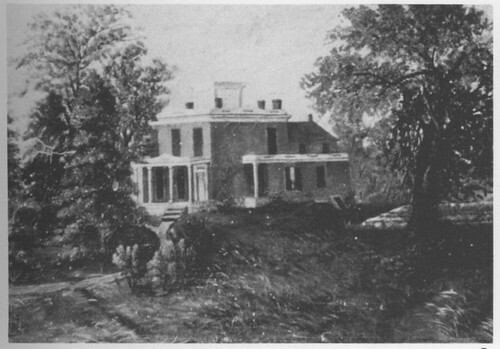 Plymouth Place was developed after WWI from the Welton property. 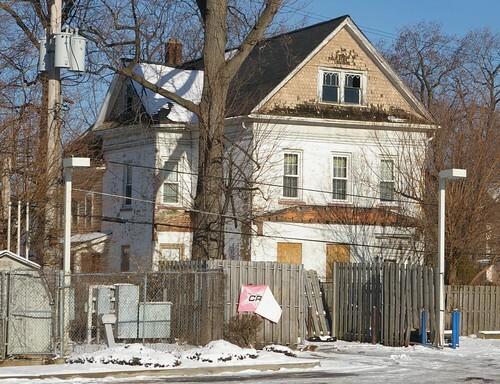 It included 18 two family homes on a dead end street. One side of Plymouth backs up on the railroad and the other backs up to the property on Welton Drive. 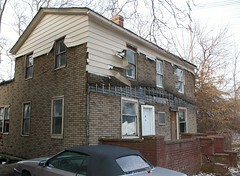 I delivered the Cleveland Press to the homes on Welton Drive including the one you feature here. 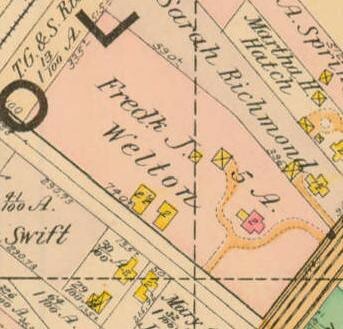 I believe the house had already been subdivided at that time ca 1950. Bless you for sharing the link. I wish somehow your blog were more widespread. I happenstanced upon it here and I am surely not unique. Many of my EC friends would enjoy your memoirs. Thank you, thank you ever so much, Mr. Dreifort. Thank you for the walk down memory lane. EC repping until I die.